Purchased at: Traded for about 5 of these. What makes this beer different: One of the few beers with massive amounts of hype, that went above and beyond that hype. Will I be drinking this again: Four more bottles left! Going to let them age for a bit though. 8/7/2010: Today is my 28th birthday, so I wanted to be sure to crack open something good from the cellar. This beer (better known as BCBCS) was just released this year, and shot all the way up to #2 on the BeerAdvocate Top 100. It now settled in at #24, which still isn’t too shabby. I got to try a small 1oz sample at a tasting a few months back, and it was love at first sip. I knew I needed to trade for as many of these bottles as possible, especially since this is my favorite style of beer as well. Have any of you ever had straight up espresso? Thats what BCBCS smelled like to me, only with a shot of bourbon in it. The first sip completely coats your mouth with flavor, and it stays this way until about an hour after finishing the beer. Not sure how many of you have had the regular Bourbon County Stout, but this beer is better in that the coffee cuts right through that bourbon harshness. It makes coffee the star of the show, and bourbon plays the secondary role. The “third level” flavors are creamy chocolate, vanilla, and a little bit of dark fruit. The mouthfeel is THICK and amazing. This goes down way too smooth for a relatively fresh Imperial Stout, especially with an ABV of 13%. In my opinion, this beer has exceeded the hype. If you like stouts this is a must drink. Picture of the day: This chick needs to just trust her instincts. What makes this beer different: Lots of honey for a Pale Wheat Ale, but little to no hops in the mix. Will I be drinking this again: Yes I actually liked this one a lot. 6/29/2010: In case you missed it, President Obama recently settled a World Cup bet with Prime Minister David Cameron of England. Each respective leader bet that their team would win in their recent world cup match. The game ended in a tie so they decided to still make a trade off. Obama gave the Prime Minister a “312 beer,” and David Cameron gave the President a bottle of Hobgoblin. Kind of disappointing that The President called it “312 Beer,” but still cool to see craft beer in the hands our commander in chief. Similar to many other Pale Wheat Ales, there is not a lot of smell going on with 312 Wheat. Smells like a typical wheat beer, just very subdued. I might be crazy for thinking this, but the first non-wheat flavor I got was honey. I actually had my roommate taste it as well to be sure I wasn’t crazy, but he right off the bat without me suggesting it said he tasted honey. Weird because out of all the reviews I read on BeerAdvocate, no one mentions honey. Oh well I guess thats what makes beer tasting fun right? Very subjective. Anyways not a whole lot of other flavors going on here, a tiny bit of hop presence but not much. Its very light bodied, which is okay because I am drinking this right as I got home from my adult league soccer game. Very refreshing. Overall its a good beer, its just missing something. Picture of the day: See Cara, this is why I won’t go watch twilight in the theaters with you. haha. 1/23/2010: Damn I just realized I have a good bit of Christmas Beer I still need to get through. Anyone else notice you get a backlog of beers pretty quick during the fall and winter months? It’s like I am a squirrel stocking up for a long cold winter or something, and beer is my only means of survival. Overall this beer is pretty decent, but to me I want a Christmas beer to smell/taste “Christmasy.” The smell was mostly caramel malt, and a bit of alcohol. The taste was a typical brown ale, but no signs of actual Christmas type spice. Also the alcohol was not masked very well, kind of surprising for a 5.60% beer. Pretty average all around. At the price I will probably not be drinking again. 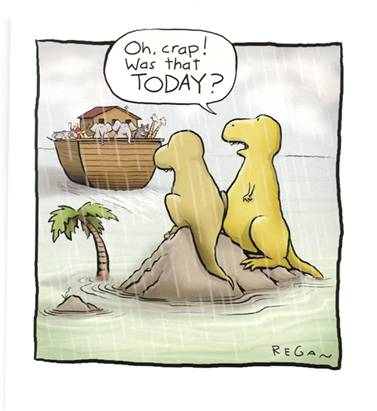 Funny Picture of the day: Sooo thats what happened to the dinosaurs?.